It is becoming increasingly difficult for business owners to ignore mobile, and that’s good. 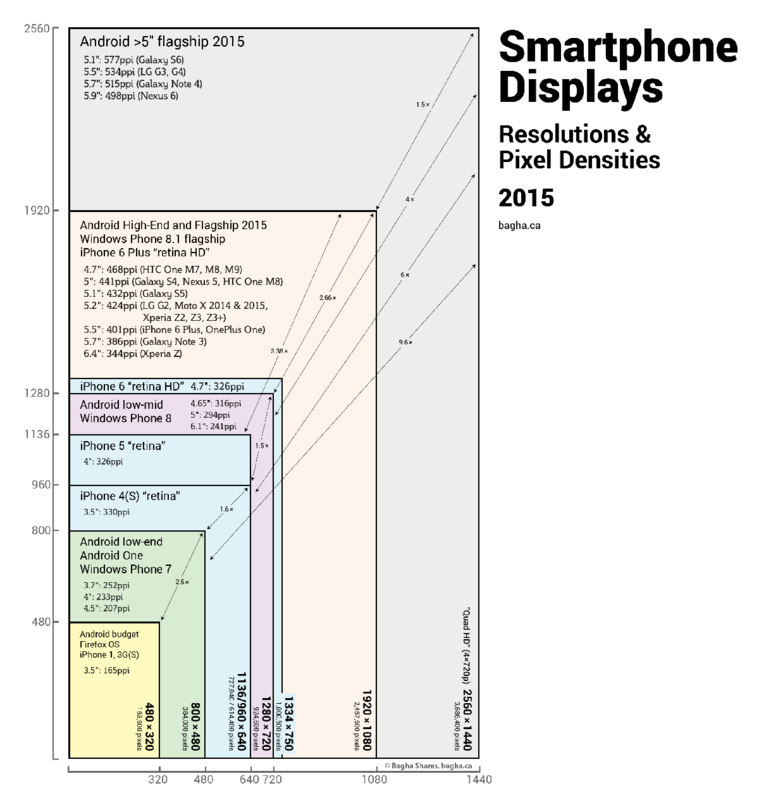 Ten years after the launch of the first iPhone, more than half the mobile phones currently in use are smartphones. And two years have passed since Google first announced that the number of searches taking place on a mobile device exceeds those taking place on a computer. Despite this, one doesn’t need to look very hard to find businesses that are still not optimised for mobile. They either don’t have a mobile-friendly website, aren’t visible on local search, or still rely too heavily on traditional marketing, without ever accounting for how their customers’ behaviour has changed. It’s okay if you still use a feature phone, and only ever browse the internet using your desktop or laptop computer. And it’s okay if you personally don’t have any social media profiles, much to the consternation of your friends and family. Nobody can force you to accept and embrace a mobile-centric world. The same, however, cannot be said for your business. Ignoring the shift in consumer behaviour when it comes to your business is downright foolish. In this article, I will guide you through some of the steps you can take to catch up, from finally updating your website, through to optimising other areas of your business for mobile. 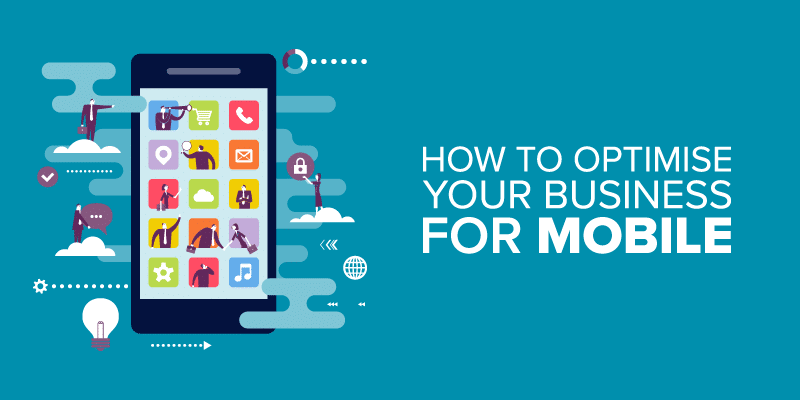 And even if you already have a mobile-friendly website, you may discover that there are some things you have overlooked in aligning your business with a mobile-centric world. 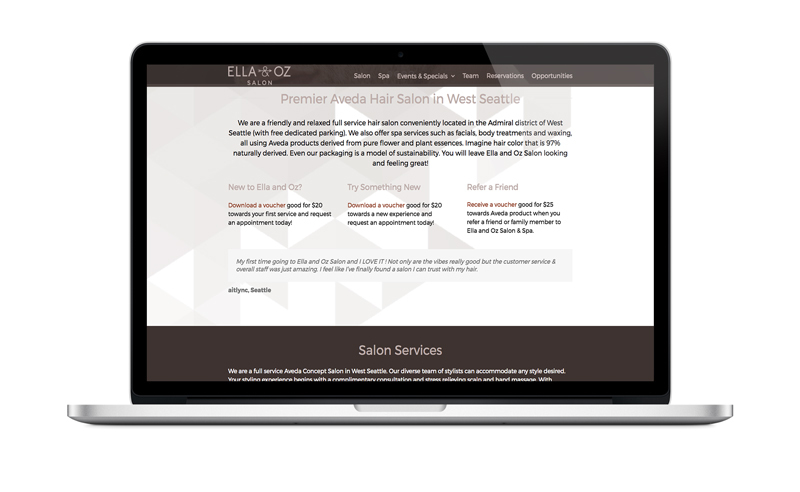 The one area where many small and medium businesses are still lagging is the company website. That website you had developed in 2010 may include the latest company information, but it probably looks awful on a mobile phone. Sure, smartphones allow users to pinch and zoom, but nobody wants to browse the internet like that. 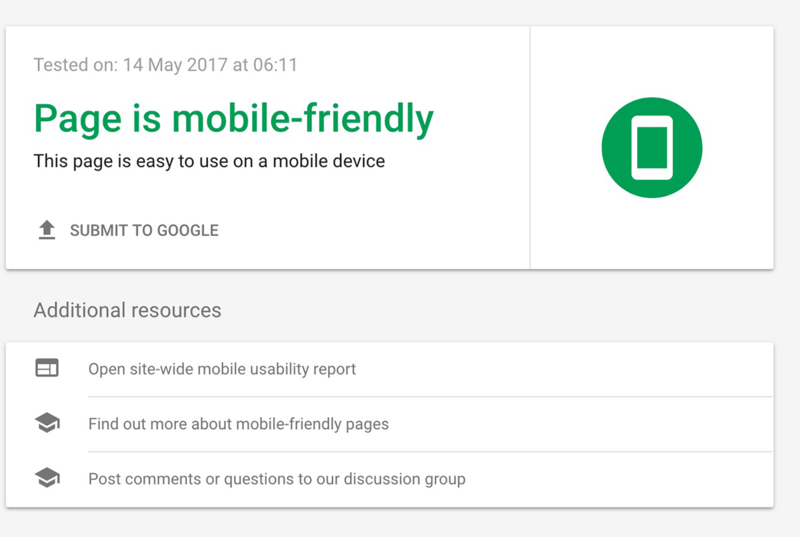 Before reading any further, I want you to visit Google’s mobile-friendly test site, enter your business URL, and wait for the result. Regardless of whether you get a pass or fail, you should continue reading this section, since it isn’t intended only for businesses whose website fails the test. 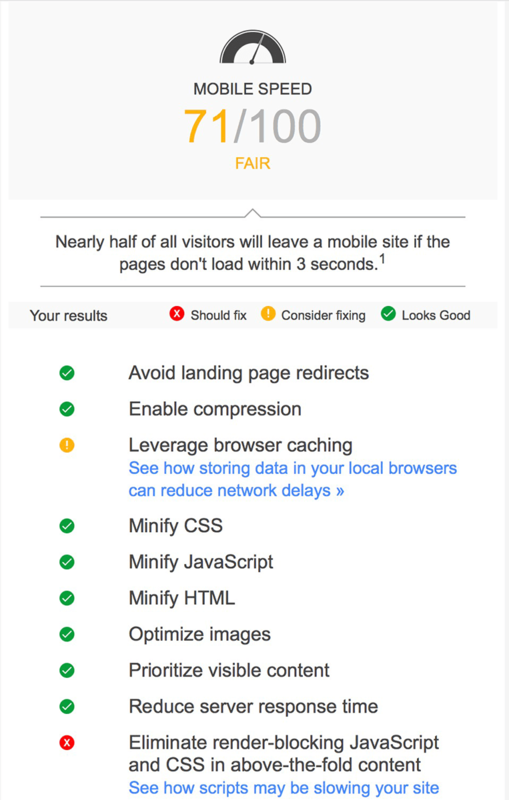 That test only looks at some of the factors that go into making a website mobile-friendly. As you would expect, there are pros and cons for each of the above solutions, but responsive web design (RWD) is perhaps the most accessible for smaller businesses. With both Dynamic Serving and an independent mobile site you need to manage at least two different sets of content, which not only makes data management more difficult, but it also increases the risk of errors creeping in. But accessible isn’t synonymous with easy, and with RWD you are expected to do some planning before implementing. This hinges too on whether you are redesigning your entire website, or only converting the existing design to a mobile-friendly one. 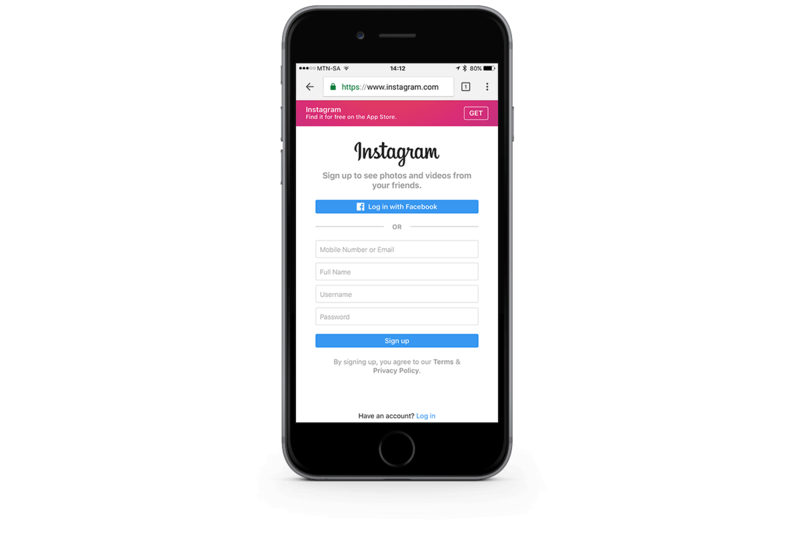 If you are doing a complete redesign, you will be able to follow a mobile first strategy. 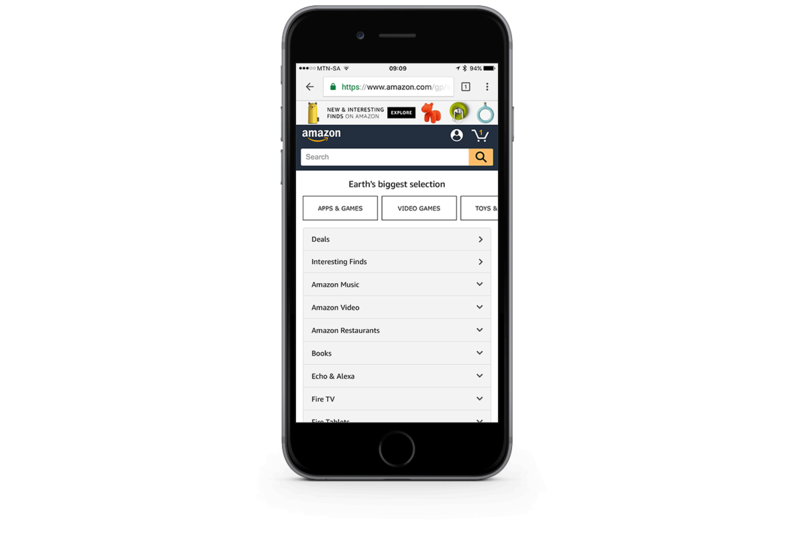 With mobile first, your entire site is first designed for mobile devices, and then adapted for desktops and tablets. The rationale is that anything that works on the mobile version of a website will work on the desktop version. Alternatively, you can use Screenfly, an online tool which allows you to see what your website looks like on different screens. 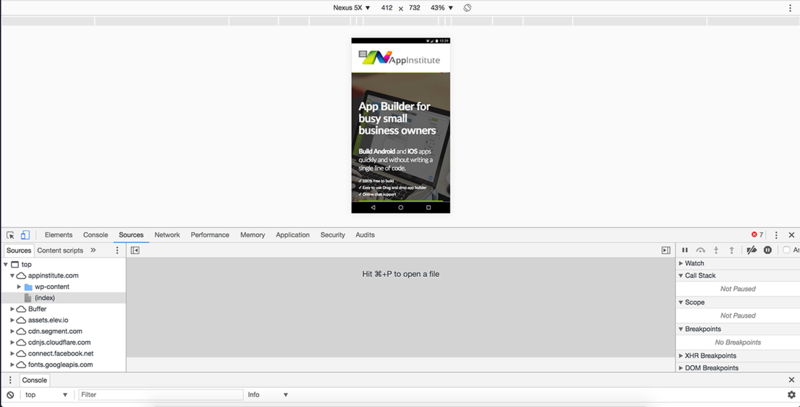 Unless you frequently visit your company’s website on a mobile device, I would recommend using the developer tools to view your website in responsive mode, even if it was done by a professional developer. This allows you to get a better understanding of how your website functions on different mobile devices and allows you to look for opportunities to improve the user experience. The purpose of this article is not only to explain why having a mobile-friendly website is important, or what many of the terms and concepts relating to a mobile-friendly website mean. The purpose is to also guide you through the process of making your website mobile-friendly. In addition to the owners and employees of small businesses having to act in more than one role, small businesses also have limited resources. So any delay in implementing a mobile-friendly website is more likely linked to cost than to fear, uncertainty, or lack of knowledge. While it is still better to use a professional developer to work on your business website, it is not impossible – or too difficult – to do it yourself. Especially if your budget simply cannot accommodate the use of a professional. Using a content management system (CMS) such as WordPress is not only easier than trying to navigate your way around HTML and CSS, it also makes adding new content to your website a breeze. Shopify and Squarespace both offer a 14-day trial, while Weebly and Wix offer a free plan. The free plan is not suitable for business use, but it will give you an opportunity to set up a test account to see whether you are comfortable using the website builder before creating a premium account. 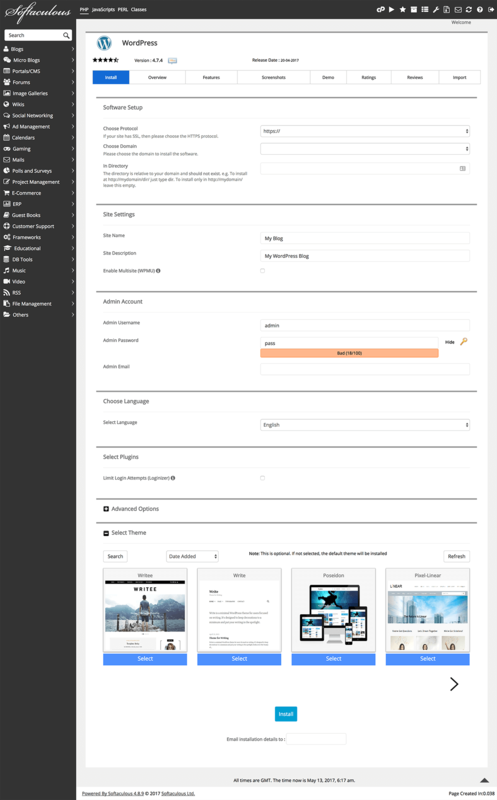 If you want to go the route of using an online website builder, always use the free plan or trial first to see whether it has all the features you need, and whether you understand the builder. Most of the solutions listed above don’t require extensive knowledge of HTML and CSS, but some understanding will certainly help. Most of them also make it easy to connect with experts and freelancers who, for a fee, can help you setup and customise your website. The fee for these experts vary, but for fairly complex e-commerce websites you should be prepared to pay several thousand dollars. You should be able to manage setting up your own online store if you only carry a small range of products. But if you carry hundreds, or thousands, of products, across dozens of categories, it is better to involve a professional. Preferably someone with UI and UX experience. Finally, regardless of whether you are using a pre-built template, or have developed your mobile-friendly site using a site builder, make sure your business address and telephone number are tappable links. By doing this you make it easy for customers to get directions to your location, or call you, just by tapping the appropriate link. If you’ve had a website for some time now – mobile-friendly, or not – you would already know all about the importance of search engine optimisation (SEO). You would also have a fairly solid SEO strategy in place, and be able to show the impact it has had on your website and business. So I am not going to waste any of your time by discussing SEO again, other than to say that your SEO strategy does not need to be modified to accommodate a mobile-friendly website. That is, if you went with a responsive design. If you implemented dynamic serving or a separate mobile website, you need to use annotations in your HTML, or user-agent redirects, to let Google know that it isn’t duplicate content but content meant for specific devices. And this is just one of many reasons why a responsive design is better, especially for small businesses. So if you’re not having to make any changes to your SEO, what exactly are you optimising for in search and discovery? Local search, that’s what. 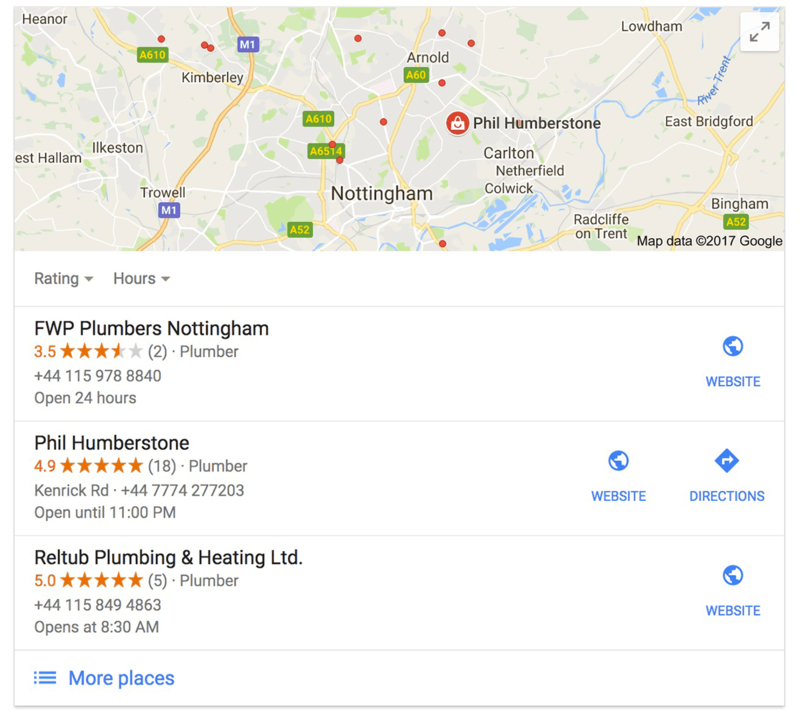 Local search is a powerful tool for boosting discoverability of small businesses, but one that is often overlooked. When searching for a plumber in Nottingham, I’m immediately presented with three options. Each of these includes the business name, contact number, and trading hours. If the business has a website, and a physical location, then the listing includes a link to the website and directions using Google Maps. Selecting the More places link underneath the listings brings up many more listings, with location markers on the adjacent map. Notice how these listings stand out from the search results, and even from the ads that sometimes appear above them? And the best part is that it costs nothing to have your business appear in these listings. What happens when you do a similar search for your business? Don’t use the name of your business. 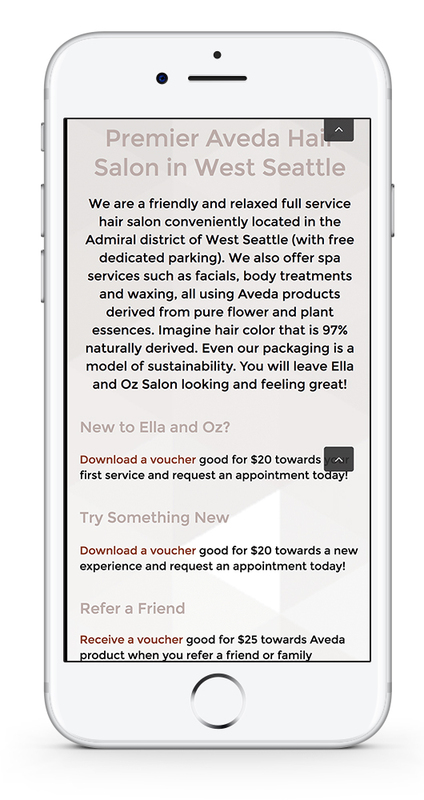 Use only the name of your location (town or suburb), and the industry or service you are known for. Does your business show up? Additionally, as mentioned under local search, you should ensure that your social profiles are fully complete, and include your location. 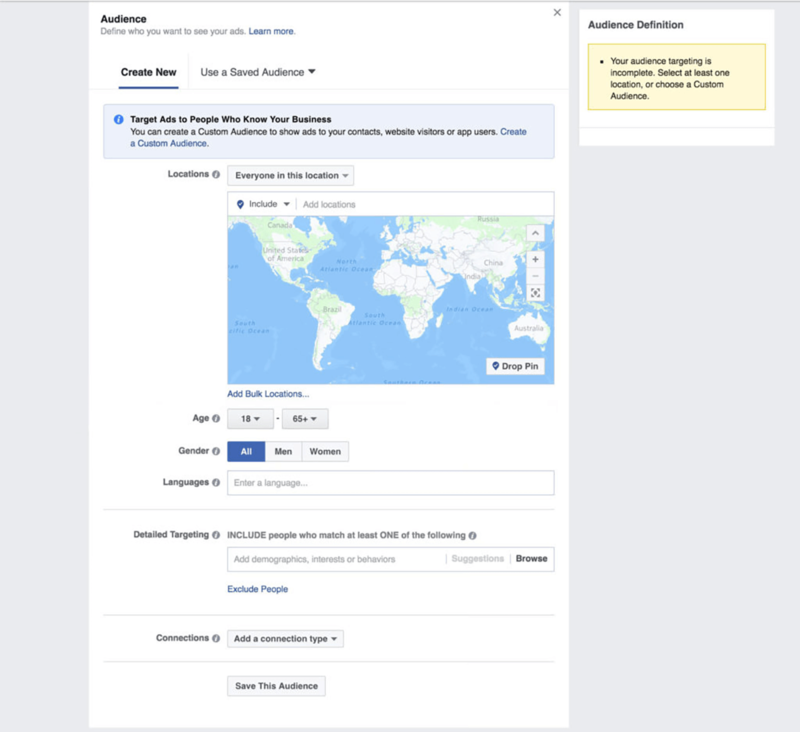 On your Facebook Page you should include as much information about your business as possible, not just physical location, but also trading hours, etc. 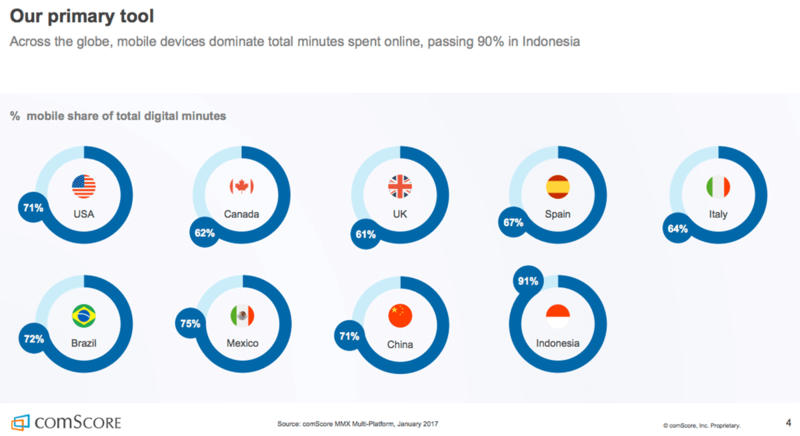 A comScore study in early 2017 found that mobile devices accounted for more than 60% of total minutes spent online. So if your customers are spending more than half their ‘online’ time on a mobile device, shouldn’t your marketing be targeting them there?